American builders are turning out semi-custom and fully custom yachts from coast to coast. Walking the docks at the Monaco Yacht Show or Fort Lauderdale International Boat Show, the brand names on most of the new builds make it clear that American shipyards are in the minority on the world superyacht-building stage. The economic downturn forced a couple of players to fold their tents, while many European shipyards are at the top of their games. But counting out the United States would be a mistake. Owners wanting a new custom or semi-custom superyacht have strong American options to consider—shipyards that bring decades of craftsmanship, technology and innovation to the table. 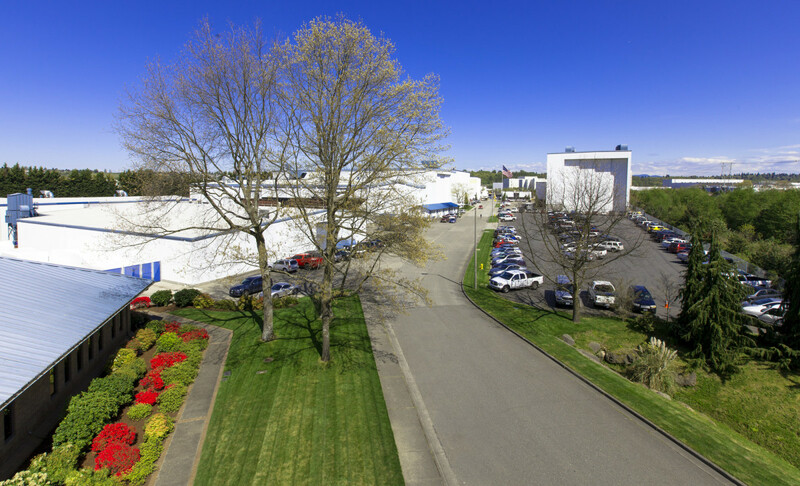 For American owners, building with U.S. yards also offers geographical convenience and a sense of patriotism in supporting the domestic economy. Here’s a look at the shipyards offering new superyachts with the “made in the USA” label. Burger Boat Company, Manitowoc, Wisc. Founded in 1863, Burger has evolved from commercial boats to fully custom yachts. “We’re a smaller shipyard, so owners of boats up to 200 feet find us advantageous over some of the bigger shipyards; they get more attention,” says Ron Cleveringa, vice president of sales and marketing. During the past decade, the shipyard has returned to its roots by taking on a number of commercial projects. 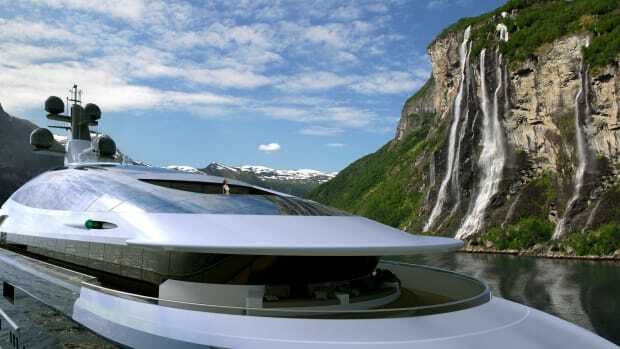 Two 98-foot (30-meter) commercial tour boats reintroduced the building of steel hulls to Burger, which lately had been constructing yachts in aluminum. 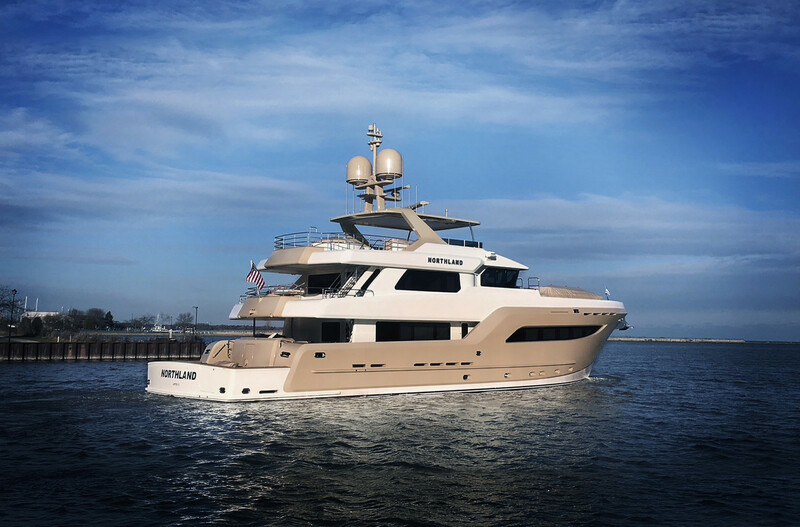 The change came in handy when an owner contracted the yard to build the 103-foot, 6-inch (31.5-meter) long-range explorer Northland, which Burger delivered this past November. 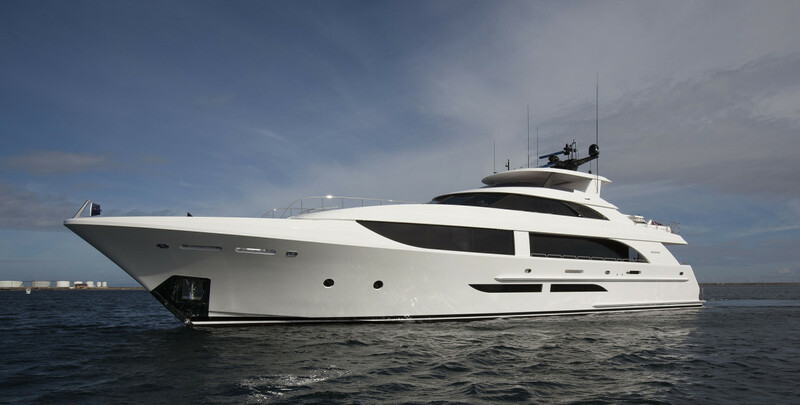 Designed by Luiz DeBasto, Northland has a steel hull and aluminum superstructure. 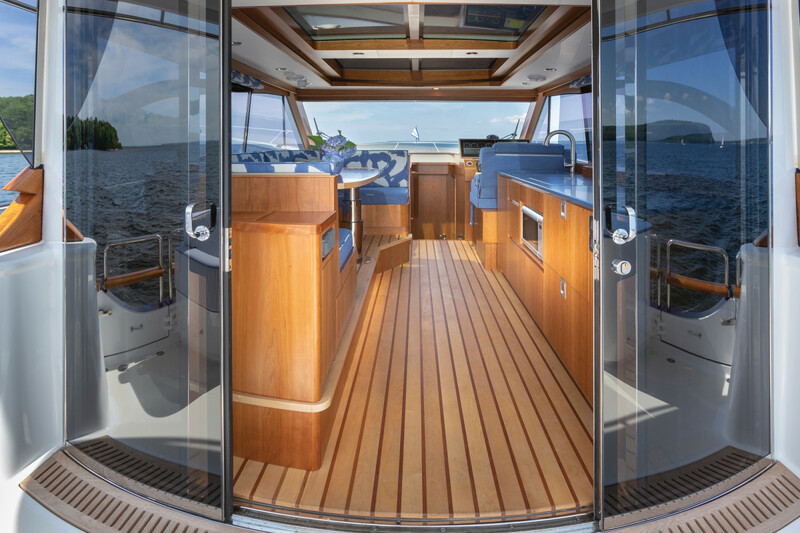 Designer Luiz DeBasto of Miami penned the interior and exterior of Burger Boat Company’s hull number 510, Northland. 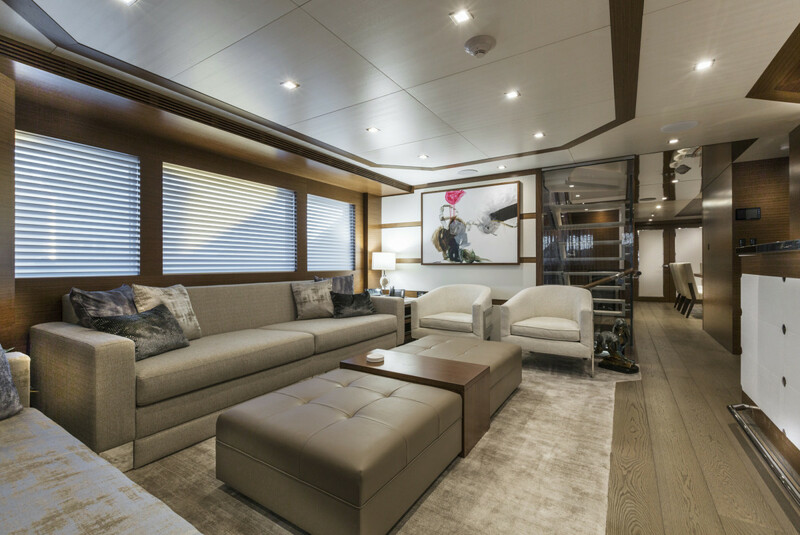 The DeBasto-designed salon aboard Burger Boat Company’s M/Y Northland. 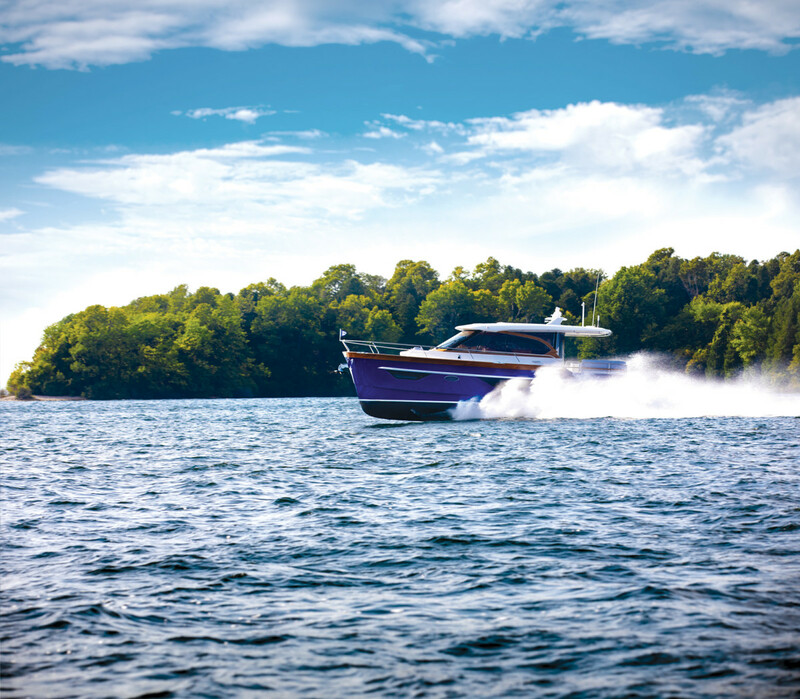 In June, the shipyard launched the first Burger 48 Cruiser, a 48-foot (14.6-meter) semi-custom aluminum motoryacht with naval architecture by Vripack. Hull number 2 is in build. Founded in 1983 by Dave Christensen in order to build his own yacht, this shipyard is still operated by yacht owners today, led by telecommunications entrepreneur Henry Luken, who acquired the shipyard in 2015 out of receivership. “Christensen suffered because it got too big,” President Jim Gilbert says. “It lost efficiency.” Since the acquisition, Luken has helped to streamline operations. Currently, Christensen is building two 164-foot (50-meter) projects: Hull 38, sold and scheduled for delivery by late 2018 or early 2019, and Hull 42, still available and 20 to 24 months out from delivery. 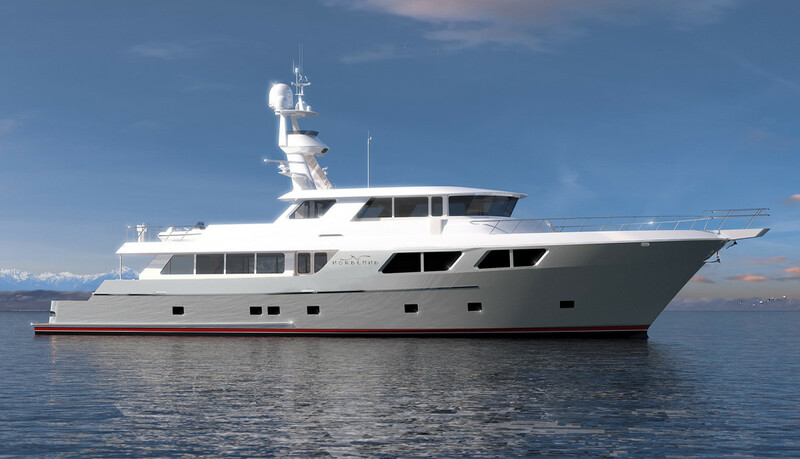 A deck-plan drawing is all that is currently available to see of Christensen’s Hull 42, which is still 20 to 24 months out from delivery. This family-owned and -operated shipyard, which celebrated its 50th anniversary last year, is the only U.S. superyacht builder capable of producing yachts up to 328 feet (100 meters). 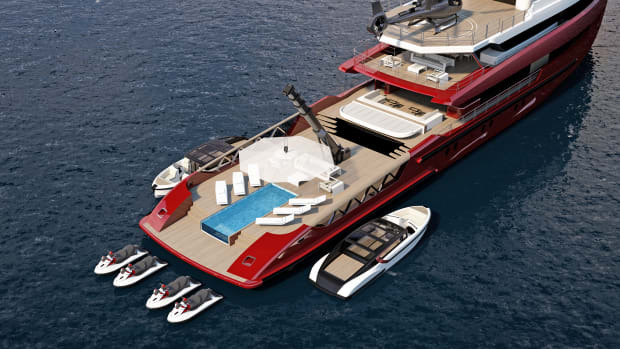 Delta Marine is capable of building yachts up to 328 feet in composite, aluminum and steel. In 2018 alone, Delta delivered a steel-hull motor-yacht larger than 196 feet (60 meters) and started construction on an all-composite motoryacht. Delta specializes in composite technology, and typically builds its larger yachts with metal hulls and composite superstructures. 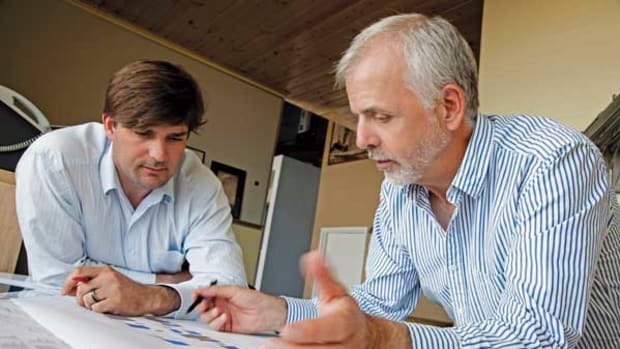 The shipyard offers all its clients the services of Delta Design Group, and prides itself on collaborating with outside yacht designers. Nordlund Boat Company, Tacoma, Wash. This year, family-owned and -operated Nordlund is celebrating the 60th anniversary of its founding. Nordlund uses an expandable hull mold to lay up most new yachts and builds the tooling for each superstructure in-house. After the yacht is launched, the builder destroys that tooling so no two Nordlunds are ever the same. 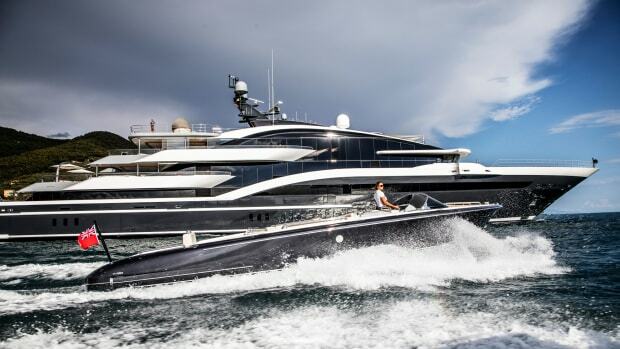 While the shipyard will work with different yacht designers, it is known for its longtime collaboration with naval architecture firm R. Edwin Monk. “All but three boats in the last 45 hulls have been done by Ed Monk,” Nordlund says. Yacht owners who are anglers prize Nordlund for its yachtfishers, a category of oceangoing fishing yachts that the yard helped to develop. 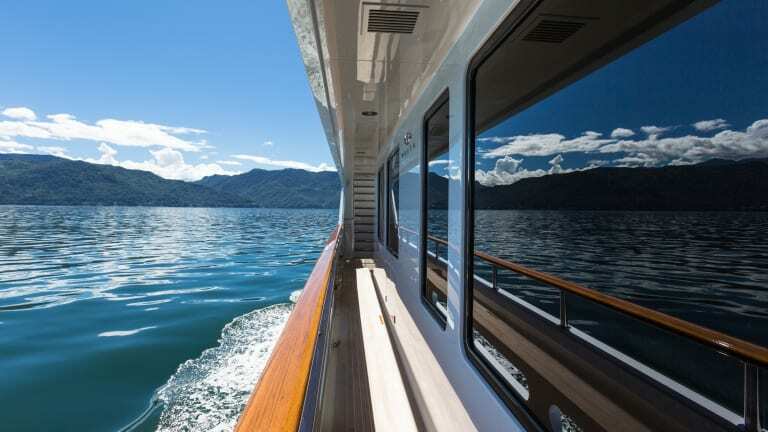 In August, Nordlund launched a 115-foot (35-meter) expedition yachtfisher with naval architecture by Monk and interior design by Mary Flores Yacht Interiors. Westport, Port Angeles and Westport, Wash.
“As far as our clients go, many do embrace ‘made in the USA,’ as long as the quality standards are the same,” says Daryl Wakefield, president of Westport Yachts. 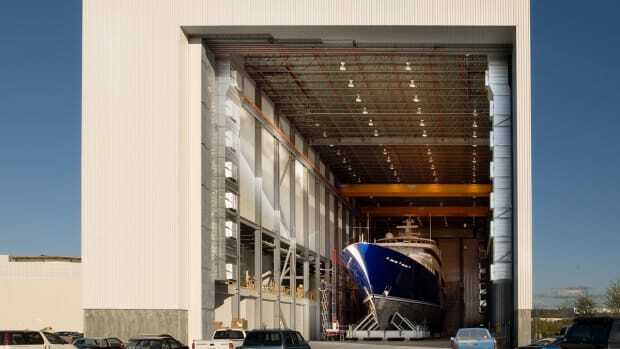 America’s most prolific builder of large yachts, Westport was founded in 1964 to supply vessels to the Pacific Northwest’s commercial fishing fleet. 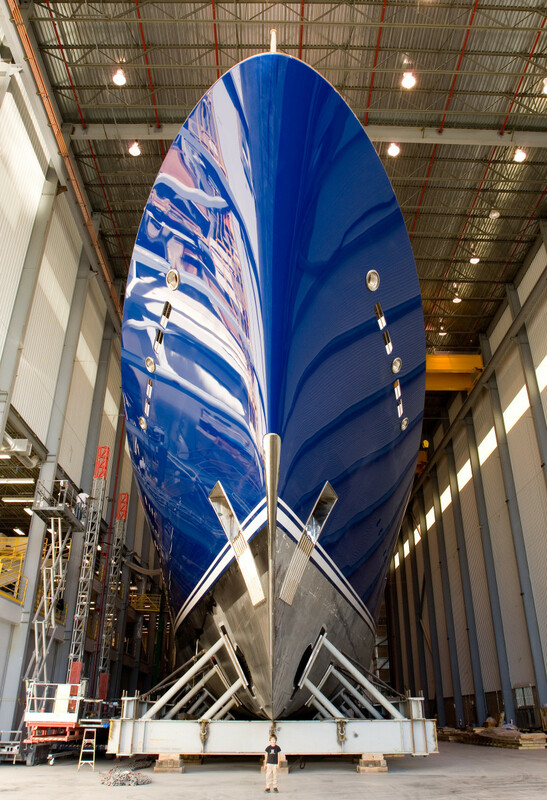 Over the years, the shipyard moved to yacht construction and helped to advance composite construction technology. Westport currently has six boats in build, half of which are sold. They include two W112s, two W125s, a W130 scheduled to launch this fall, and a W165. 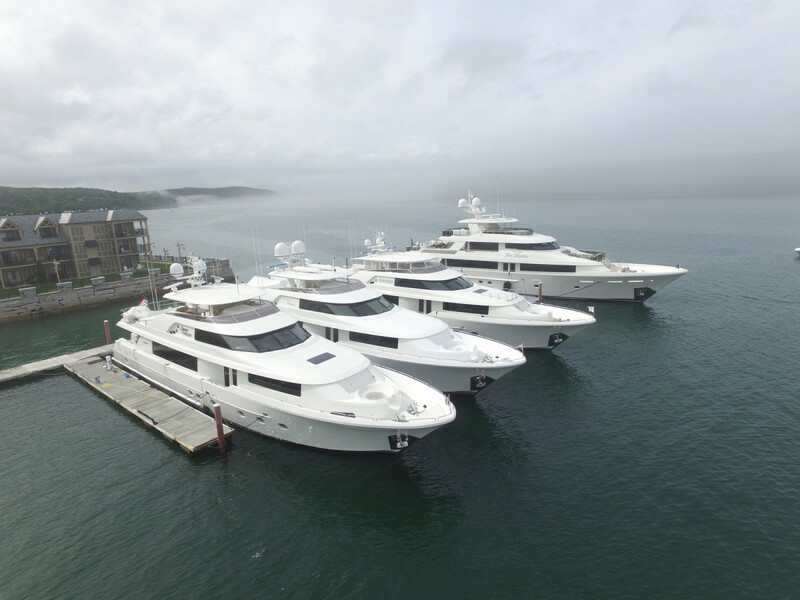 Based in the Pacific Northwest, Westport has found its niche building semi-custom yachts up to 165 feet. “Westport’s business model is to start boats on spec, and an owner comes along and buys the next one on the line,” Wakefield says. This program lets owners take delivery sooner than with a fully custom project, and Wakefield says there is still plenty of opportunity for customization. “There was some misunderstanding over the years,” he says. 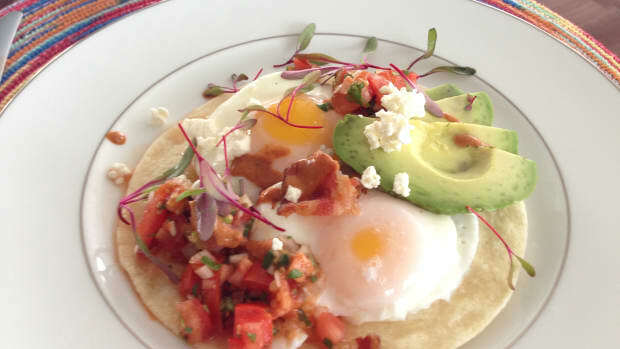 “People thought that you could have it any way you want it, as long as it’s Westport’s way. No. We have always accommodated customers.” The yard even will move structural bulkheads “if we have the lead time,” he adds. In 2014, a former customer acquired Westport. “He said, ‘Keep doing what you’re doing and let me know what you need,’” Wakefield says. That acquisition led to the introduction of the W125 model, which made its debut in 2016. 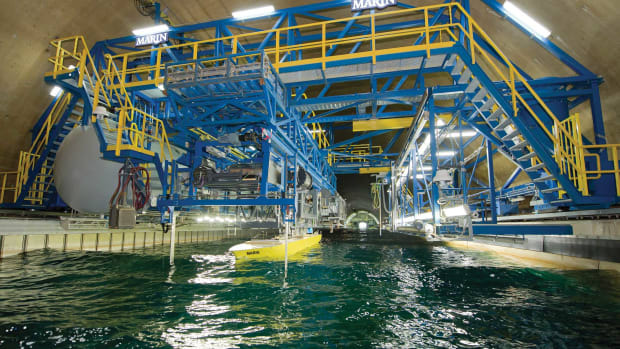 “We had the opportunity to take a lot of the new systems and innovations considered state-of-the-art today and put them on that boat, and then added them throughout the line,” he says. Westport’s new 125 model launched in 2017. 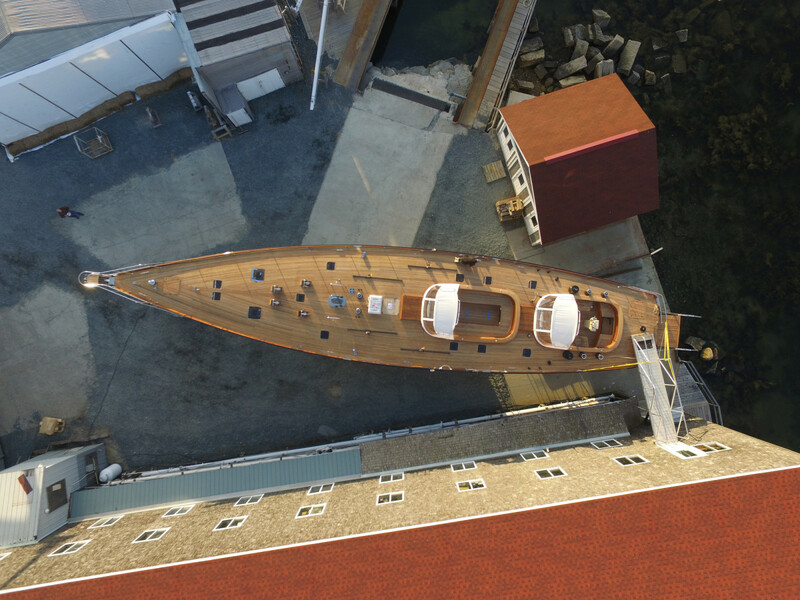 When most yachtsmen think of Maine, they think of smaller, handcrafted wooden boats. 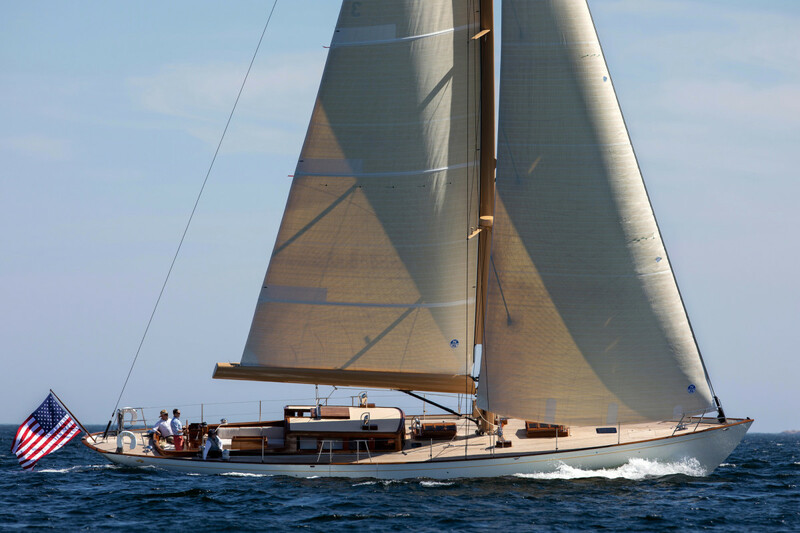 But Maine also is home to shipyards that build custom yachts in a range of materials. Here is a look at two of the biggest players. This family-run shipyard just celebrated its 40th anniversary in true Down East style, with a lobster bake for owners. 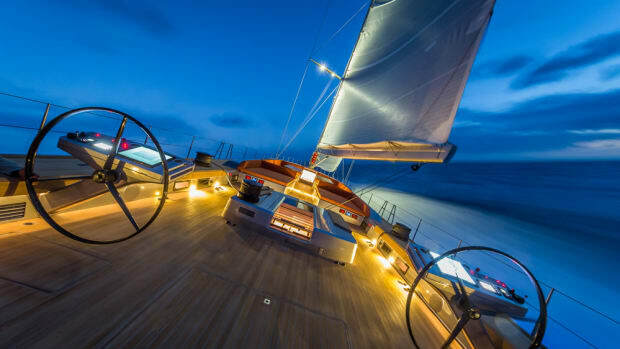 Lyman-Morse builds sailing and motor-yachts in a range of materials including carbon fiber. Its most recent launch, the 65-foot, 6-inch (20-meter) Stephens Waring Yacht Design Anna, is made of cold-molded wood. Founded in 1960 by Joel M. White, this family-owned shipyard is now led by his son, Steve White. In May, the yard—which typically produces one to two sail or motoryachts a year—launched the 91-foot (27.7-meter) cold-molded wood sloop Sonny III, designed by Bruce Johnson. Brooklin Boat Yard’s 91-foot (27.7-meter) cold-molded wood sloop, Sonny III. 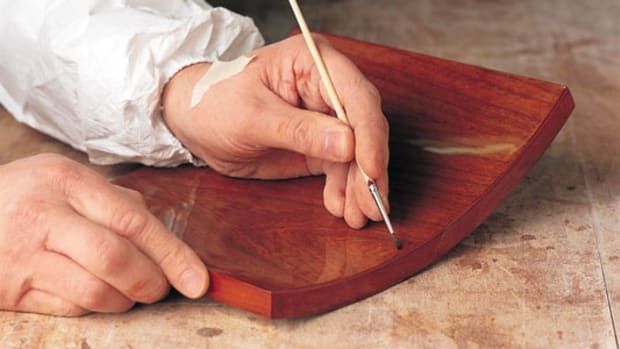 He adds that building a cold-molded project also can cost less than creating a mold and laying up a composite yacht.